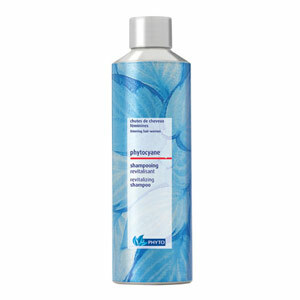 Phytocyane Revitalizing Shampoo by PHYTO Paris is made especially for women with thinning hair. Phyto claims that this shampoo works to restore hair’s vitality through the sunergistic action of its botanical active ingredients. Gingko Biloba is combined with Vitamin B6 to stimulate cell metabolism and hair resistance, thus fortifying hair. Grapeseed Procyanidins (OPG), free radicals capture, thus protecting the hair bulb and preventing the appearance of aging signs. A Cinchona Bark extract with stimulating qualities, combined with a mild washing base derived from Coconut oil, ensure that Phytocyane shampoo is effective, gentle and enjoyable to use. 1. Apply shampoo to wet hair. 3. Leave on for a few minutes. Phtocyane Revitalizing Shampoo does not test products on animals. You can buy it from Rustan’s Essences.